So last year we saw a leaked handset by HTC called the Edge/Endeavor which was presumed to be the company’s first quad-core running smartphone. Now itt seems that LG has also joined the quad-core league as PocketNow has bumped into a leaked handset which just might be LG’s entry into the next generation of quad-core processor running smartphones. Called as X3, the handset will have a 4.7 inch display with an HD resolution of 1280×720 and will run on an nVidia Tegra 3 chipset. 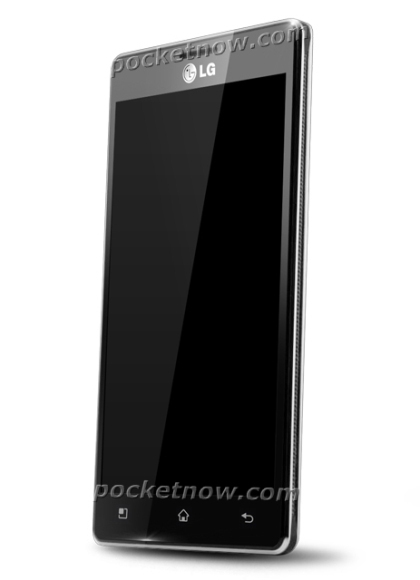 The handset will have a slim profile despite the awesome hardware and is said to fall around the 9mm thickness profile. It will also have an 8MP rear camera and a 1.3MP front camera for your video calls. The OS should be Android ICS and there will be 16GB of storage space backed up by a micsroSD card slot. The handset will also boast HSPA, Wi-Fi, Bluetooth 4.0, NFC and a chunky 2000mAh battery. While the specs sound pretty neat, they aren’t confirmed and are just rumoured specs. But you never know, LG just might prove the rumours to be true.